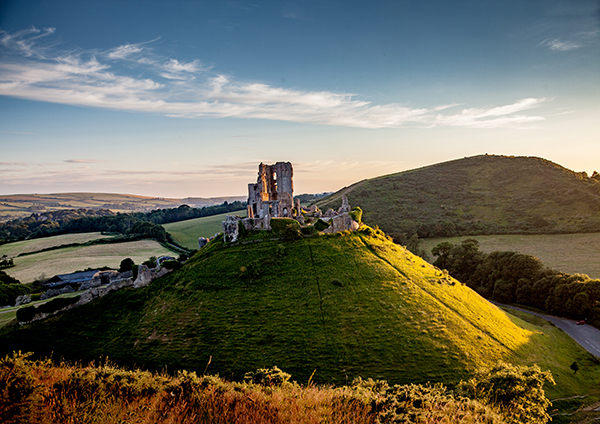 Corfe Castle is situated on a natural steep sided hillock guarding the only cleft in the 12 mile ridge of the Purbeck Hills. Cromwell and the English Civil War were responsible for it's destruction after a heroic three year defence of the castle by Lady Banks, only succumbing to surrender by treachery. It stayed in the Banks family until 1981 when Ralph Banks bequeathed his whole estate of 16 thousand acres to The National Trust making it at that time the largest gift the Trust had ever received.